GOPT is a dynamic fitness business that empowers people to push past their comfort zones and discover the best versions of themselves within a community of likeminded individuals. We are accessible to all age groups but specialize in working with over 40’s. 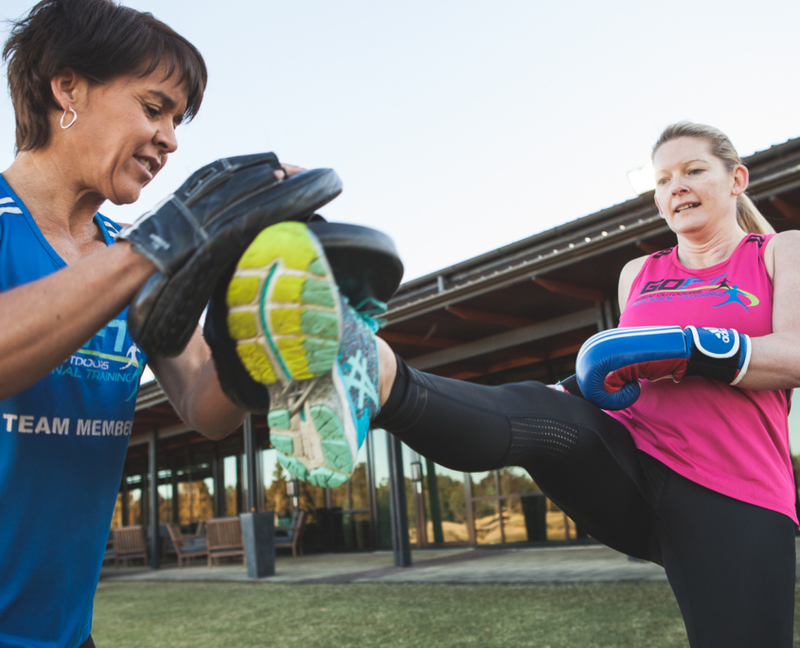 Our coaching program sets out to empower individuals to harness their inner athlete, embrace a holistic approach to nutrition and wellness and became an athlete of the mind. We work closely to develop the correct mental approach and attitude that results in success in all areas of life. Our services and programs include, one on one and group personal training, nutrition plans, life coaching, corporate programs, private group training, detox programs, private, transformation and performance challenges, online coaching. Available upon request. One on one sessions and private group sessions are quoted separately, with price being based on number of participants and location of session. As businesses in today’s society look for ways to improve efficiency, productivity and the bottom line, most are faced with the growing issue of lost productivity from excessive employee sick days caused by on-the-job stress and injuries. A well-implemented wellness program can significantly reduce the number of sick days employees take, and with improved health, employee on the-job productivity also increases. 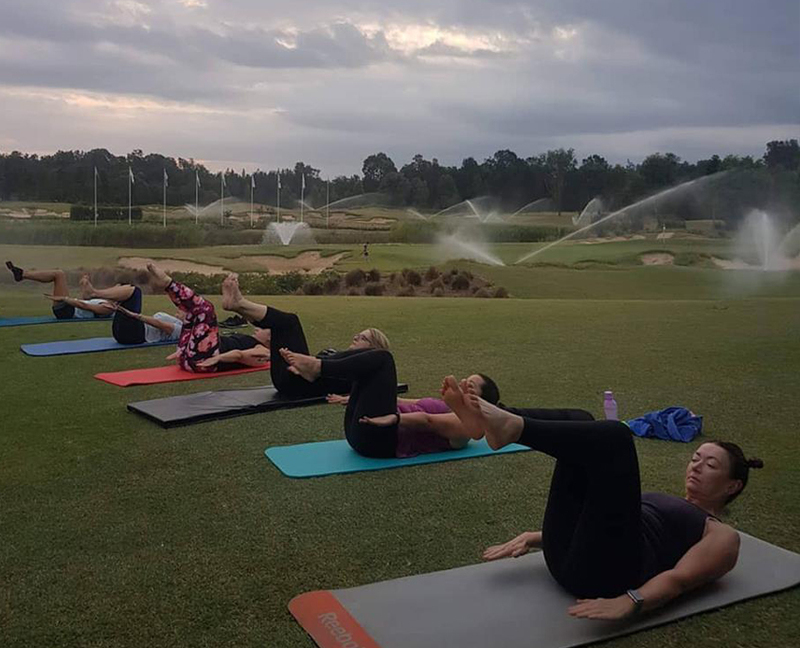 The GOPT fusion of pilates, yoga, stretch and strengthen. Improve your posture, bulletproof your core, give life to your glutes and reconnect with you by opening your mind through meditation. And done in arguably the best location for a workout in Sydney. GOPT strives to empower the everyday person to push past their comfort zone and embrace a strong and healthy lifestyle. It is with this priority that we strive to create a life changing experience for every individual involved in our community. Matt is the best trainer I have ever been to, I have been going to gyms for years with no results. But with Matt, he will motivate you in a health level that suits any fitness level. I’m pleased with what he has helped me achieved regarding fitness and change of body shape. The tools that you will learn from Matt are life changing and achievable. I will always recommend anyone to jump on board and give him a go. Your first session is free. I could not recommend GOPT enough. Not only does GOPT make me feel good physically, but mentally and emotionally too. Matt and Jenny will push you to meet your goals daily and you will always start or end your day feeling great once finishing a session. GOPT will not only change your physical fitness, but your mindset too! I have never been a particularly active person, and while I have joined gyms and clubs in the past, my enthusiasm only lasted for a couple of months at the most, and I found myself pulling out all my old excuses for why I couldn’t do it anymore. To be honest, that’s what I expected would happen when I went along to my first fitness session with GOPT, but I’m ecstatic to say that was over two years ago, and rarely in that time have I lost my enthusiasm to keep going. 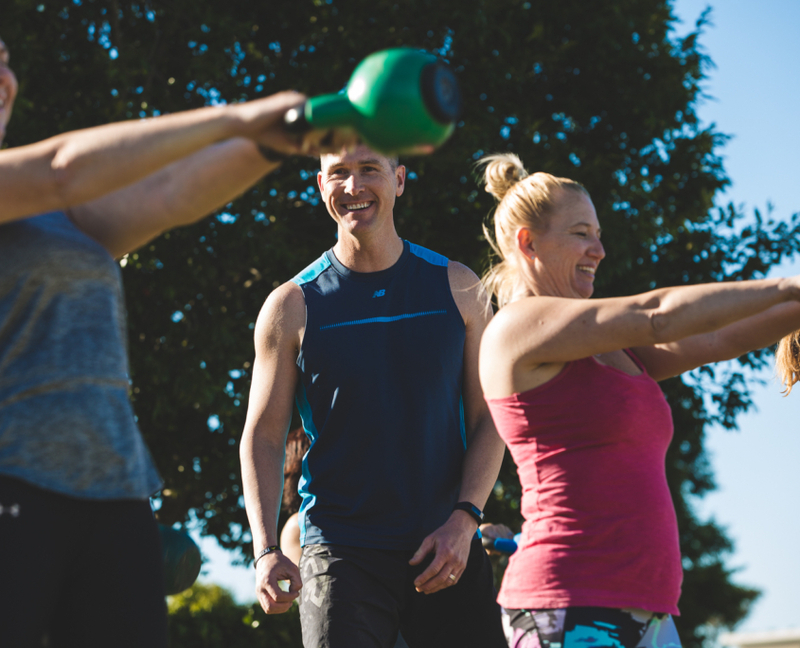 Matt is such an awesome trainer, and in any session there is such a wide variety or people of all different fitness levels, so everyone feels comfortable. I have been attending GOPT fitness sessions since May 2013 which I attend 5 sessions per week. I remember receiving a leaflet in my letter box that a personal trainer was holding fitness sessions down at the tennis courts at our local club house. I was very interested in doing outdoor fitness as I felt very unfit. I had surgery on both of my knees a couple of years prior and had no strength to carry out much in the way of fitness. I wanted to be able to kneel down, run, skip, jump and even just simple things like gardening which I couldn’t do comfortably for a long time. I called Matt and explained my situation about my knees and that I would love to get my knees working again and get fit. I immediately felt comfortable with Matt in just our first conversation on the phone. Matt said to try out his sessions and together we could work on strengthening my knees again. With Matt’s expert advice, patience and guidance both in getting my knees stronger and better eating habits I was off!! Yes, I was able to run again. In a few months I was running nonstop 5kms nearly every morning. It was like a dream come true for me. I was hooked and couldn’t stop running. If it wasn’t for Matt, I don’t think I could have achieved my result. I’m 50 years old and I can honestly say I feel great and feel the fittest that I have been in a very long time. I take Matt’s advice in nutrition and my eating habits have changed for the better. In the time I’ve been attending I’ve seen many other members bodies transform and also become fitter. I can feel their satisfaction in their achievements as I went through it myself. Matt is an awesome personal trainer, he cares about people’s individual needs, health, fitness and always has a positive attitude. He never makes anyone feel different or that they can’t do it. Fitness at GOPT for me has become part of my weekly routine, it’s fun, it’s social, it’s outdoors and we all have a laugh. As for Matt’s bad dad jokes, well that’s another story!! I have been training with GOPT for just under 3 and a half years. I have lost just over 10 kilos, and have kept it off!! I have so much more energy, I feel fantastic and can honestly say I truly look forward to going to EVERY session. Matt and GOPT have definitely made me the person I am today. We train with an awesome group of people who have become great friends and we have a laugh while we make positive changes to our lifestyles.